Music lovers rejoice! Those looking for the ultimate in CD playback from an audiophile-grade component will be impressed with a high-precision, multi-bit D/A converter and 128 x oversampling. Others looking for convenience will thrill at the sight of 6-disc capability, 6 repeat modes, 40 track programming and no worries about interruptions to your music, with the ability to change 5 discs while the last one is still playing. All will marvel at the crystal-clear playback, enhanced by our exclusive VLSC (Vector Linear Shaping Circuitry), for a smoother sounding audio signal. Just as crucial to your sonic enjoyment is Direct Digital Path, a heavily shielded, high-quality cable that protects the delicate audio signal from noise emitted by the surrounding circuits. Housed in a sturdy chassis graced with a brushed aluminum front panel, the DX-C390 is ready to provide hours of uninterrupted music for the soundtrack to your life. Key Technology Features: 192 kHz/24bit AD Converters: Costly, extremely powerful digital-to-analog converters , that not only boast a dynamic range of 120 dB, they process information faster and are virtually resistant to clock jitter, to ensure the best possible performance from DVD-Audio, DVD-Video and audio CD.RI (Remote Interactive): With Onkyo s exclusive RI (Remote Interactive) system capability, you can integrate and operate all compatible components through a single remote control. What s more, RI capability enables you to simply connect the iPod to your receiver through Onkyo s RI Dock for the iPod (DS-A1). Your iPod effectively becomes another Onkyo component from which you can relish a fuller sound that just can t be experienced through headphones. RI capability will also give you remote operability of your iPod for hands-off control over your digital music. VLSC (Vector Linear Shaping Circuitry): Conventional D/A conversion methods reduce digital pulse noise at the conversion stage but can t remove it completely. Previously only found on our high-end components, VLSC (Vector Linear Shaping Circuitry) employs a unique D/A conversion circuit to overcome this problem. Data is converted between sampling points and these points are joined with analog vectors in real-time to produce a smooth output wave form. The result a virtually noiseless, smooth analog signal based on the digital source to bring out even the most subtle of nuances in your music, movie soundtracks and even MP3s. MP3 Playback: This audio format achieves about a 10:1 compression over conventional CD audio. What does this mean? You can store many more songs using the same amount of space. For example, a standard 650MB CD can hold more than 200 songs in MP3 format. Various bitrates allow for higher or lower quality, depending on the desired sound quality of the final recording. 192 kHz/24bit AD Converters: Costly, extremely powerful digital-to-analog converters , that not only boast a dynamic range of 120 dB, they process information faster and are virtually resistant to clock jitter, to ensure the best possible performance from DVD-Audio, DVD-Video and audio CD. 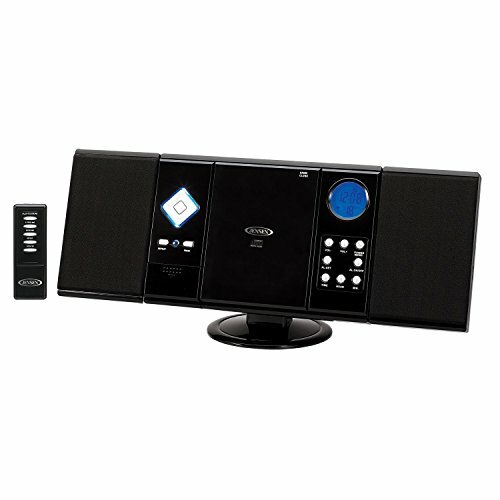 RI (Remote Interactive): With Onkyo s exclusive RI (Remote Interactive) system capability, you can integrate and operate all compatible components through a single remote control. What s more, RI capability enables you to simply connect the iPod to your receiver through Onkyo s RI Dock for the iPod (DS-A1). Your iPod effectively becomes another Onkyo component from which you can relish a fuller sound that just can t be experienced through headphones. RI capability will also give you remote operability of your iPod for hands-off control over your digital music. VLSC (Vector Linear Shaping Circuitry): Conventional D/A conversion methods reduce digital pulse noise at the conversion stage but can t remove it completely. Previously only found on our high-end components, VLSC (Vector Linear Shaping Circuitry) employs a unique D/A conversion circuit to overcome this problem. Data is converted between sampling points and these points are joined with analog vectors in real-time to produce a smooth output wave form. The result a virtually noiseless, smooth analog signal based on the digital source to bring out even the most subtle of nuances in your music, movie soundtracks and even MP3s. MP3 Playback: This audio format achieves about a 10:1 compression over conventional CD audio. What does this mean? You can store many more songs using the same amount of space. For example, a standard 650MB CD can hold more than 200 songs in MP3 format. Various bitrates allow for higher or lower quality, depending on the desired sound quality of the final recording. Refer page 13 of user manual below for troubleshooting steps. Enjoy hours of high fidelity audio with the Yamaha CD-C600 Five-Disc CD Changer. 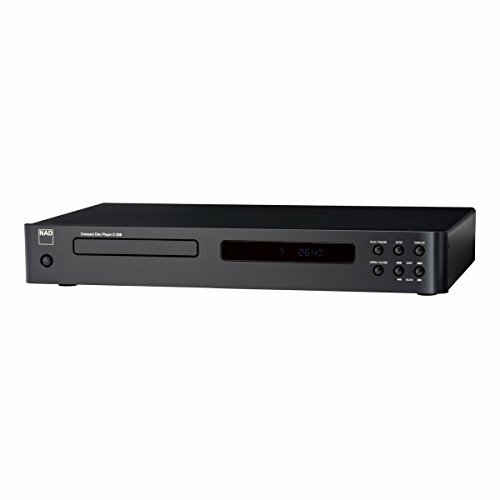 This 5-disc CD changer can play your collection of CD and CD-R/RW discs as well as MP3 and WMA files from a disc or USB memory. Meanwhile, CD text display allows you to see the CD title, artists name and track title so you can follow along with your music. With PlayXchange, you can open the disc tray while playing to load additional discs without interrupting your music. A high performance DAC allows for high conversion precision with low noise to ensure high quality reproduction for even the most discerning audiophiles. Additional convenient features include Pure Direct mode, a digital optical out connection and iPod compatibility. The "Made for iPod" logo means your new CD-C600 can connect to and charge your iPod, allowing you to listen to your music and operate your iPod via the remote control. This CD player also offers custom installation features including an RS-232C port and IR in/out terminals. The CD-C600 seamlessly incorporates high quality audio reproduction, advanced features and several additional conveniences into one sleek package. Numerous convenient playback functions with Full opening disc tray for changing 5 discs at a time. 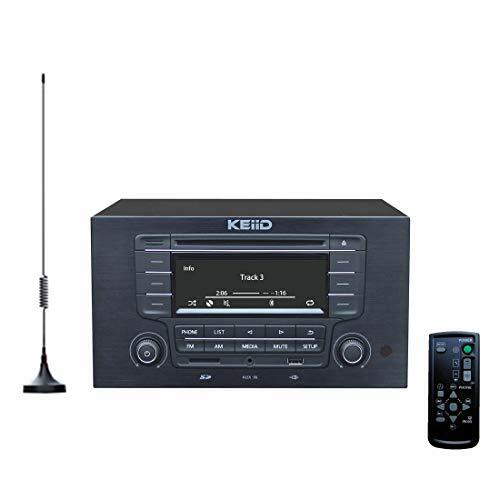 One compacts all audio resources: Slot-in type CD player, USB/SD MP3 player, Bluetooth 4.2 receiver, 12 presets FM radio with 3 meters car-type FM magnetic aerial, 3.5mm line-in port allows you connect with iPod in AUX mode.Enjoy a real surround stereo with Hi-Fi sound quality. 3.5mm headphone jack and RCA audio output. via which you can connect with a headphone or a external amplifier. The USB port reads maximum 32GB flash drive with MP3 files and also reads from phone or iPod directly via digital cables. Stream music wirelessly in Bluetooth mode, talk with Siri and hands-free calls directly with its built-in microphone , HD 5-inch LCD display.Humanized button/remote operations. Perfect as a gift choice. Built-in over 1600 world-wide live channels , such as: Chinese, Taiwan, HongKong, India, Malaysia, Singapore, Japan and South Korea Asian Channels; United States and Canada North America Channels ; United Kingdom, Germany, France, Spain, Italy, Portugal Europe Channels; Brazilian and Arabic Channels and so on. We can remove adult channels from this IPTV box, please contact the seller for this service if necessary. 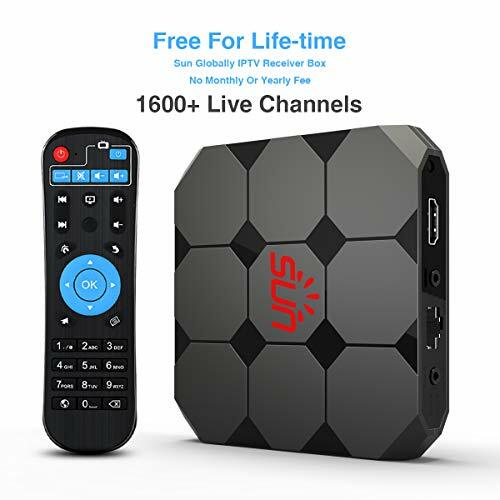 Free For Life-Time --- Live IPTV box don't need monthly or yearly fee. Just purchase it , you will get life-time subscription service. Enjoy over 1600 global live channels, don't worry about the high cost of cables. High Configuration --- 2GB DDR3 16GB eMMC , high memory configuration. With resolution support up to Full 2160P@30fps, support 4K Video and bluetooth 4.0. Support Google Play APK installation,support DLNA Protocol. You can browse the applications with remote controller or mouse and keybord through USB port or bluetooth. Various Types Of Channels ---Live iptv box has many different various of channels from all over the world, meet all kinds of needs. Such as: sport channels , movie channels, kids channels, news channels, adult channels and so on. 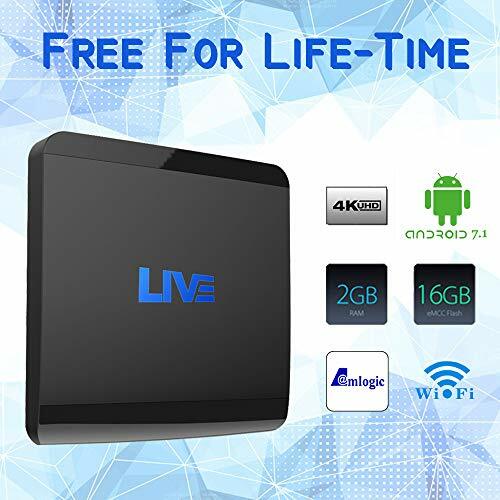 All in this LIVE iptv box. Work In Any Country --- Live iptv box not only work in US. In any country, it can be used as long as it is powered on and connected to the network. No matter where you are ,all channels are the same, there will be no missing. It's your best travel companion. Get All Channels List ---If you want the list of channels, please send email asking for seller. Don't post question, the channels is too much to reply on question. * Built-in GOOGLE PLAY STORE in conjunction with Unlock youku was founded! * 3d, 4k hardware solutions with the latest technology. * Remote Control: Support IR Remote controller and usb mouse & keyboard. b: Connect AV cable with television(Suitable for old television) 2. Adaptor connect the DC port of receiver and supply. 3. Screen boot and click the open button of remote controller(red mark). Recording from CDs, Cassette tapes, mic input and external input devices to USB Flash drives (as MP3 files) possible. Recording from CDs, USB flash drives, mic input and external input devices to Cassette tapes is supported. Built-in mic input jack. Mic input can be mixed with CD, USB flash drive, Cassette or external input. Audio with the mic signal Mixed in can be recorded to Cassette or USB flash drive. (The mic sound cannot be recorded when recording from a CD to a USB flash drive.). Echo effect for mic input. MP3 file playback (USB flash drives and CD-R/RW discs). MP3 file ID3 tags and file names can be shown (USB flash drives and CD-R/RW discs). timer playback function (CDs, tapes and USB flash drives). timer recording function (tapes only). recording level can be adjusted when Dubbing (not possible from CD to USB Flash drive). Various playback modes include continuous, Shuffle and program (CDs and USB flash drives). elapsed time and remaining time of playing track as well as total elapsed time and remaining time of disc shown (CDs). Cassette Tape counter function. Cassette Tape pitch control (+/-10%) function (playback only). peak level meters function During recording and playback. Dedicated remote control. Compliant with RoHS. The New CD6006 is a fine-tuned version with even more specially selected components and new layout circuit compared to its CD6005 predecessor, the what Hafiz best CD player under 500 . We also added more rigid feet to further eliminate vibration. 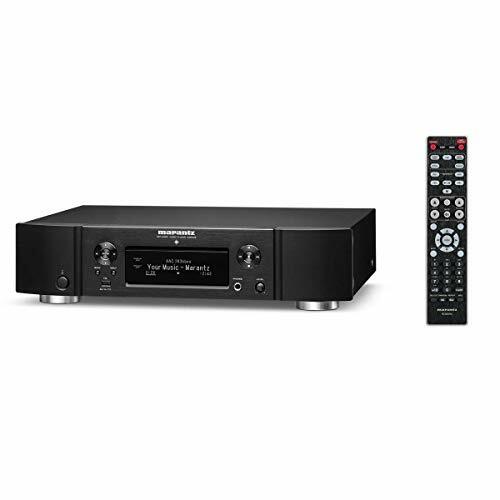 The oversized power supply feeds the digital and analogue circuitry of the player, where the high-quality CS4398 DAC converts digital signals to analogue, this is then 'pushed' To the gold-plated synch outputs by Marantz own small signal amplifier, the HDAM-SA2. In addition, we have included a New remote that also controls the PM6006 amp. Altogether, The CD6006 is a match made in heaven for the music lover who wants nothing but the best performance at an attractive price, and it is also perfect for lovers of portable music, thanks to its iPod-digital connectivity. One more thing: the CD6006 features a newly developed, complex headphone amplifier with headphone amp gain setting for a wider range of headphones. A solid mechanical foundation is paramount in reducing external vibration and providing precise location of the CD drive mechanism. This allows smooth operation and a minimum of tracking errors. Heavy gauge steel and non-resonant plastic moldings are carefully engineered to provide optimum results. The transport is mounted on reinforced steel rails and over 30 fasteners are used to lock the assembly together and maintain precise dimensional integrity. Precise clocking of the digital data stream allows the Wolfson 24-bit DAC to provide accurate linearity for the PCM data conversion to analogue waveform. Audio OPAmps buffer the output without adding noise or distortion to the music. Multi-layer PCBs using surface mount components allow for an enhanced circuit layout with very short signal paths. Powering these elements is a custom designed active power supply that provides multiple regulated voltages to the transport, digital circuits, analog circuits, and the control and display circuits. Front panel controls are duplicated on the hand held remote allowing Play, Pause, Skip, and Scan functions. In addition, many more features are available from the remote handset, such as Random: Tracks/files are played at random mode, Program: Enter or exit program mode, Repeat: Track, file, or whole disc is repeated, and RPT A-B: Playback sequence is repeated. The dimmable dot matrix display shows tracks, total playing time. Track time, disc time, and remaining time are all available. The C 538 can also play CD-R discs, allowing you to play customized CD's burned from your computer. Because these songs are encoded in MP3 or WMA, you can fit up to 10 hours of music on a single disc which is perfect for party mixes or ambient listening. There are also both optical and coaxial digital outputs that allow connection to an external DAC or digital component (like an AVR) to provide the most efficient and best sounding system setups. 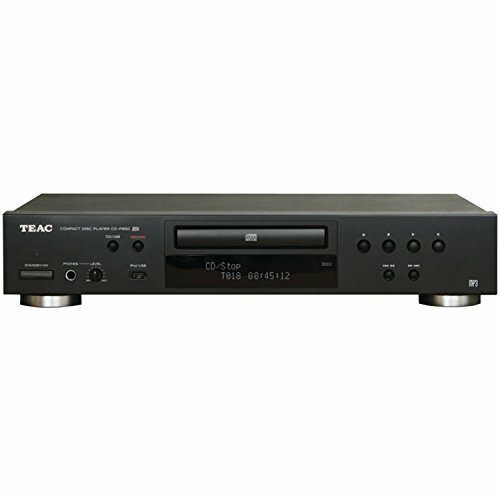 TASCAM s best-selling line of single-rackspace CD players has been updated with the CD-500B. The CD-500B is a slot-loading CD player with a new transport, featuring brushless motors and an edge-grabbing mechanism to prevent disc damage. A front-panel 10-key pad is available for instant access to CD tracks, and flash start is available for instant playback. The CD-500B supports MP3 and WAV file playback from CD-ROM as well as traditional audio CDs. 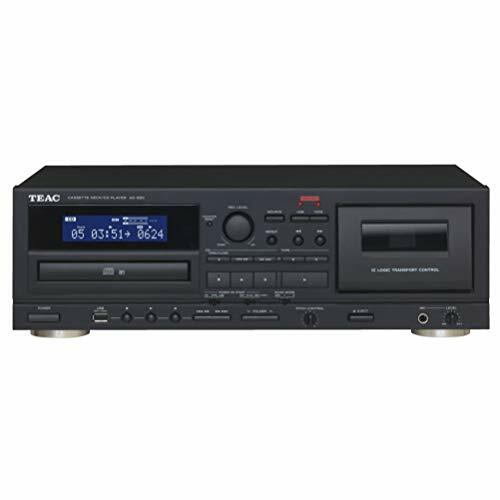 The TASCAM CD-500B includes 16% pitch control for CD playback speed. Other features include incremental play, fader start, Call/return to last play point, fade in/out, power on play and more. A variety of control and interface ports are found onto the rear panel. Both RCA unbalanced and XLR balanced analog outputs are provided, as well as S/PDIF and AES/EBU digital outputs. The CD-500B can be controlled through RS-232C, Parallel, wireless remote control or an optional RC-3F footswitch. The reliable CD-500B is a perfect solution for installation, touring, house of worship and anywhere else rackspace is at a premium. 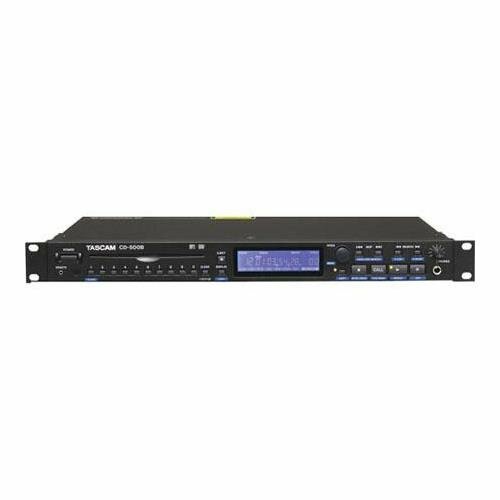 Available at a lower price point than the CD-500B, the CD-500 does not include the XLR balanced outputs, AES/EBU digital I/O or parallel control. Warranty: 1 years parts; 90 days labor. No CD Player? No problem! 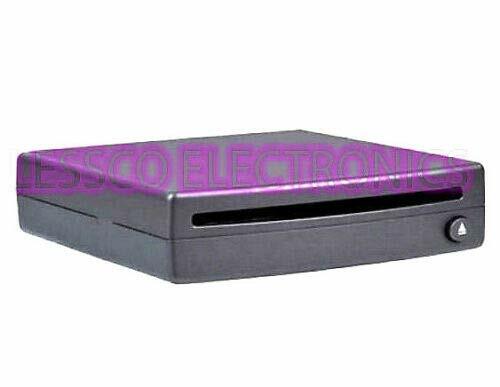 This portable USB powered device adds a CD Player to your USB Integrated Add-On CD Player for 2018-2019 Chevy Equinox IOR & IOB Radios. Control song selections with your steering wheel and radio buttons! Slightly larger than a CD, this player can be tucked in the center console or glovebox. Comes with attached USB cable, cable extender and a mounting pad if you want to attach the player in a particular location. Control song selections with your steering wheel and radio buttons! Make your own music mixes and enjoy the sonic results with Sony's RCD-WC500 Compact Disc Player/Recorder. Featuring a 5-CD/Dual Deck with 4x High Speed Dubbing and CD, CD-R, CD-RW, and MP3 Playback Capability*, this product records CD-Recordable and CD-ReWritable Discs*, offers SBM - Super Bit Mapping Recording and High Speed Finalizing, and CD Text Entry. Also utilize 24-Step Program Play, One-Touch Synchro Start/Record, and the supplied Remote Commander Remote Control. Begin burning your CDs today with the RCD-WC500. *CD-R/RW Playback may not be compatible with all discs, depending on recording conditions. 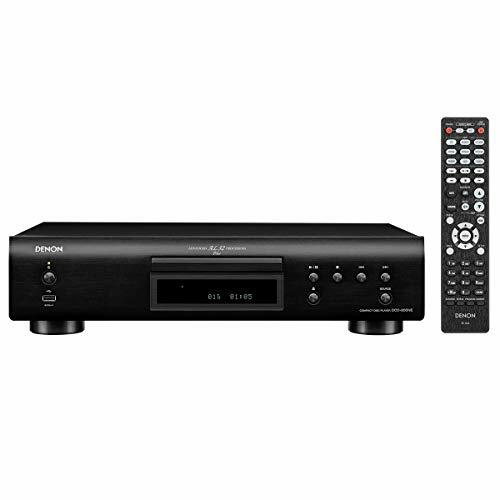 Listen to Hi-Res audio and masterfully reproduced songs with the demon DCD-800NE CD player with integrated USB port. Advanced AL32 processing plus, combined with an innovative circuitry Structure, ensure recordings are accurately reproduced and beautifully faithful to the original sound. 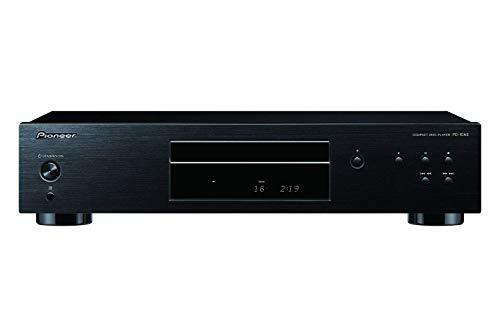 More than a CD player, The DCD-800NE supplies the highest quality audio signals to the amp, and the USB port supports Hi-Res playback up to PCM192/24 and DSD 2. 8 MHz/5. 6 MHz vibration-resistant design reduces adverse audio effects of heavy components within amplifiers, so sound quality Meets Demon standards. And with a more than 100-year legacy of crafting audio components, trust Demon to achieve Hi-Res sound that exceeds your expectations. Easy connections with Amps - the player comes with 1 gold-plated analog RCA output and 2 digital outputs (optical and coaxial) so you can connect your pre-amplifier, integrated amplifier, stereo receiver or AV receiver with ease! Better sound, more control - use This player with the dnp-800ne network Audio player for a complete app control (including HEOS app). what's more - you can use a single remote to access the entire 800Ne Series models.